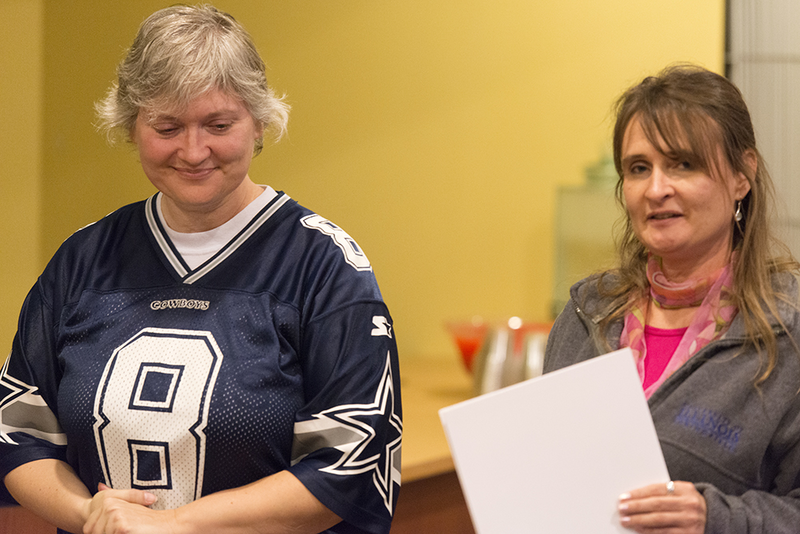 Carol Reese, a senior library specialist at Brookens Library, has been named the University of Illinois Springfield Employee of the Month for October 2016. Reese started working at Brookens Library in 1995 in the Interlibrary Loan Department. She now works in the acquisitions, where she is known for going above and beyond to help students and faculty acquire the resources they need. Reese recently stepped up and took over interlibrary loan responsibilities, on top of her acquisition duties, when an employee retired. “She volunteered to take over her duties and offered to train the new specialist when they were hired. Without even being asked, she assumed the interlibrary loan workload, again, and balanced it with her current acquisitions workload,” said her nominator. Reese has also helped Brookens Library transition to a new upgraded computer system. She meticulously worked out errors and sought out help from others. “She continually helps out other areas when necessary, rather than focusing only on the job at hand. She is a great asset to the University of Illinois Springfield staff,” said her nominator.